Princess Lodges, a division of Princess Cruises, is responsible for the operation of Alaska Land Tours and the land portion of Cruisetours. Founded in 1972 and headquartered in Seattle, Washington, the company offers a wide variety of Alaska land tours and Alaska train tours in conjunction with Princess’ Alaska cruises, providing visitors with the best ways to see the majestic “Land of the Midnight Sun” — by land and by sea. The largest cruise and tour operator in Alaska, Princess gives travelers the opportunity to combine a Gulf of Alaska cruise with the interior of Alaska experience. The “land” portion of our cruisetours include the state’s most popular areas, such as Anchorage, Denali National Park, Copper River, the Kenai Peninsula, and Prudhoe Bay. Princess also owns and operates five wilderness lodge properties and several luxury railcars known as Princess Rail. Rated as Alaska's number one rail experience, the company's Ultra Dome railcars have set the standard for luxury rail travel in the nation. 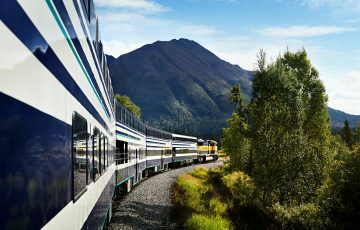 These Alaska train tours travel daily between Anchorage and Fairbanks from May through September. The cars feature the largest domed windows ever built for a rail car, signature cuisine highlighting Alaska specialties prepared to order on board, and open-air outdoor observation platforms. 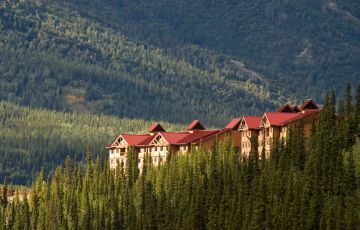 Princess' Alaska lodge and hotel properties, unique in the industry for their wilderness riverside locations, offer the finest accommodations available in their areas. These properties are strategically located and were built to take full advantage of each unique regional setting.